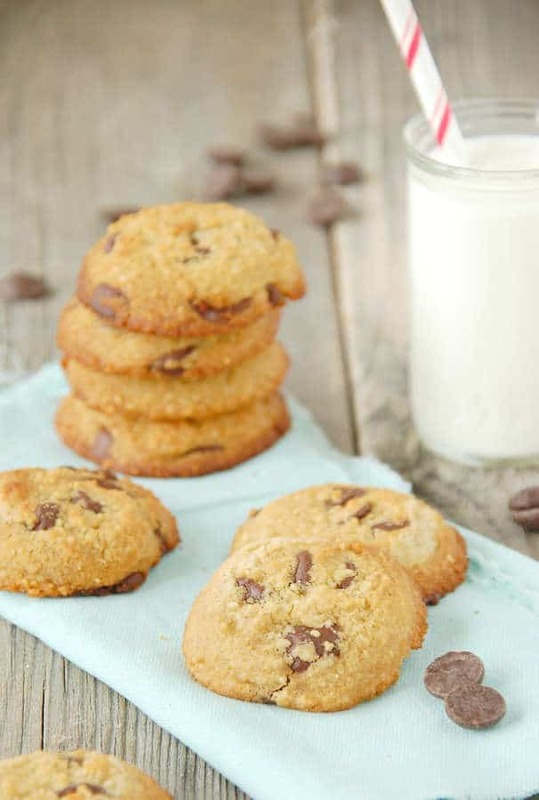 This is the best Paleo chocolate chip cookies recipe to be found. I’m so excited to be able to eat chocolate chip cookies again, I really missed them. Nothing is better than classic Paleo chocolate chip cookies! They will forever be a classic that no one can resist! Whenever I try to decide what kind of cookies to make, Paleo chocolate chip cookies are one of the first always mentioned. There are many times when the only cookie that my family can agree on are Paleo chocolate chip cookies, so I end up making them more often than any other cookie. I once again want to provide a way for people who live a paleo lifestyle, to enjoy a classic food without all of the ingredients they don’t want to consume. Making cookies and having them ready when your children get home from school can be a great way to put them in a good mood. It will give you the chance to talk to them sitting down to see how their day is going and it will also give them a break from school and refresh their mind for possible homework they might have. Another fun idea is to make time to make cookies with children. I know, right? What a concept! Children love to cook with you if you give them the chance! This also presents a great opportunity for your children to learn new skills and to learn how to work together as a team. If you want to, you can even bring cookies to family members or neighbors. This is a great way to spread happiness and cheer with others. What are some of your favorite memories of making chocolate chip cookies with others? Who do you like making them with? 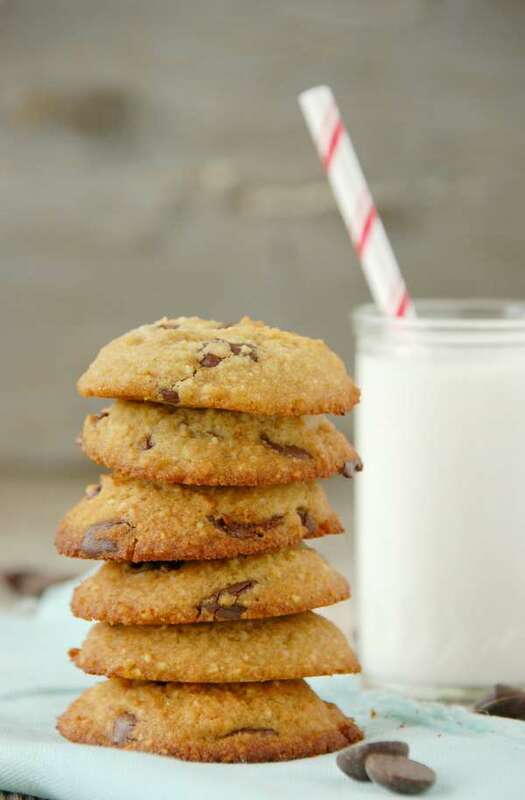 So without further ado here is our Paleo chocolate chip cookies recipe for everyone to enjoy! *I needed to bake these cookies on the top rack of my oven to get them to brown evenly. Depending on your oven, they may need to be cooked on the top rack. *Because of the lack of gluten, these cookies will need to be handled more gently and will break apart easier than a cookie with gluten. 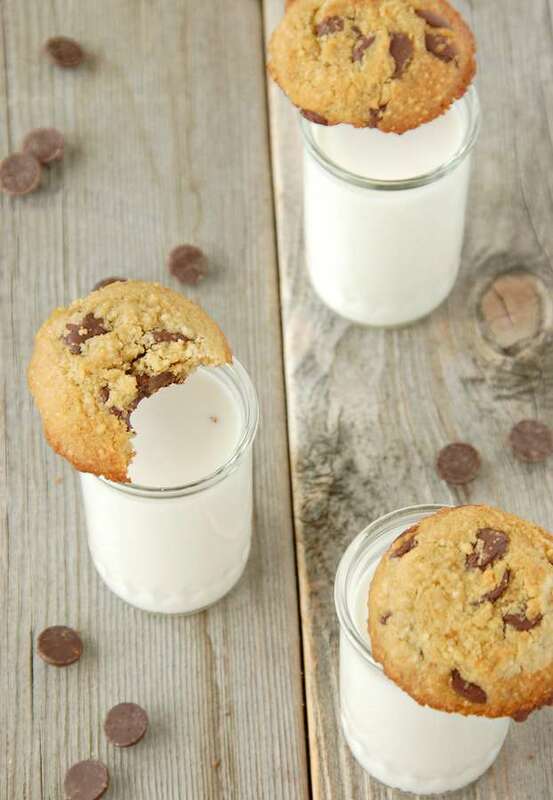 A recipe for a classic cookie, chocolate chip. This recipe is paleo and uses almond, coconut, tapioca flours. Preheat oven to 325 degrees. Line a baking sheet with parchment paper or a non-stick mat. In a mixing bowl, combine the almond flour, coconut flour, tapioca flour, salt, baking powder, and baking soda. In another bowl, stir together the maple syrup, honey, coconut oil, eggs, and vanilla. Combine the wet ingredients with the dry ingredients, stirring together well. Add the chocolate chips , distributing well throughout the dough. Let the dough sit for 5-10 minutes so that the coconut flour can fully absorb the liquids. Using a 2 T. Scoop, place the cooking on the prepared baking sheets 2″ apart. Bake cookies in preheated oven for 9-10 minutes, or until just starting to turn golden brown on top. Remove from the oven and let sit on the pan for 5 minutes. Remove carefully from pan with a spatula and store in an airtight container. There is some question as to whether or not chocolate should be included in the Paleo Diet. Some Paleo eaters include it while others do not. This subject is discussed quite a bit. I found two articles that I thought worth mentioning. They discuss a number of facts which include pros and cons as to whether chocolate chips should be included in a Paleo diet. These articles should help you determine whether or not you think chocolate should be included in your Paleo Diet. There is also some controversy as to whether maple syrup and molasses are allowed in the Paleo diet. I agree with the articles that say to eat those things in moderation, as a treat once in awhile. To read the full articles go Here and Here. Not sure if chocolate is Paleo? Read our “Is Chocolate Paleo?” article to help you decide. If you do decide to include chocolate chips in your diet you need to make sure you don’t just buy any old bag of chocolate chips. The best brand of chocolate chips to buy are Enjoy Life and you can buy them Here. 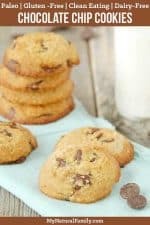 For those of you who include chocolate in your diet, I hope you enjoy my list of the Best Paleo Chocolate Chip Cookie Recipes. I like these Paleo pumpkin chocolate chip cookies because they are full of pumpkin flavor, they are not too sweet and they have kind of a cakey texture. That’s what I expect from a pumpkin cookie. These are really good, I don’t want to brag but they are a lot better than the ones you buy from the store. Michele says she has tried hundreds of Paleo chocolate chip cookies and these are the best ones she ever has eaten. So I guess we better make a batch of these and see if she’s right. Let me know if they are good as she claims. These are more healthy than 90% of the cookies in the world. You won’t find tons of sugar or butter in this recipe. Instead, you will find rolled oats, buckwheat flour, cacao powder, and almond butter. Instead of sprinkles and food coloring, you’ll find some really pretty pomegranate seeds. They provide color, flavor, and fiber. Win-win in my opinion. If you’ve never made anything with cassava flour before, you should really try it now. 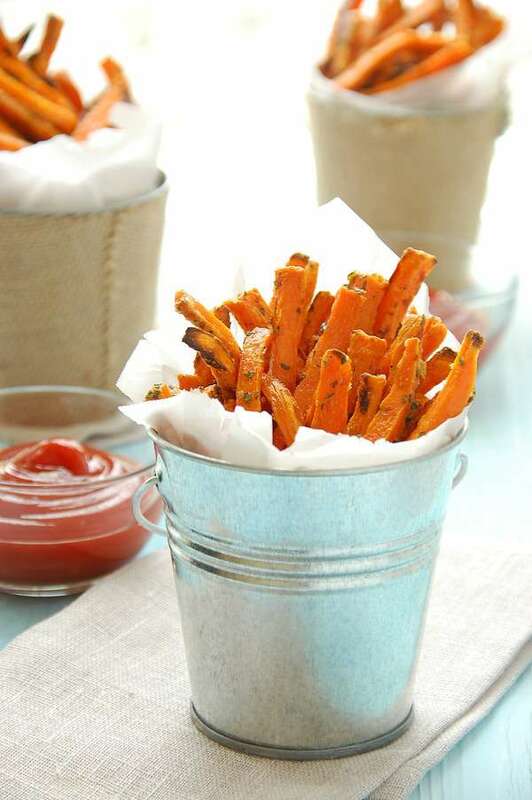 Cassava flour has a texture that is close to that of white wheat flour. For that reason, these taste more like “regular” cookies in my opinion, than those made with other gluten-free flours. 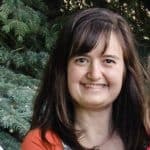 Tess has a link to a post that tells you how to make your own coconut butter. It’s pretty simple, look for it. If you’d like to learn more about cassava flour read this: Paleo Cassava Flour Recipes Index, Pros, Cons and Best Prices. These cookies are chewy, soft and decadent. They will become a family favorite very quickly. 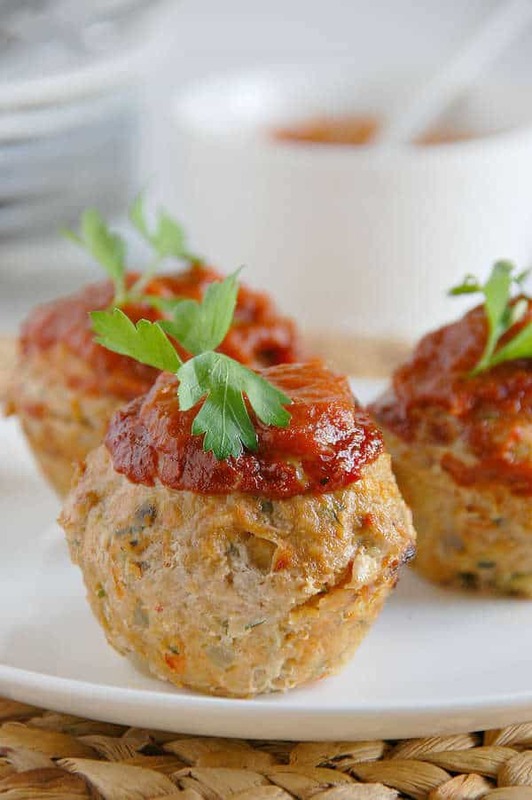 You won’t believe they are Paleo with their fudgy, soft, thick texture and warm rich flavors. They are super soft and seem to become softer as they cool. They store well in the refrigerator if you have any left after you eat one. You can’t eat just one. These are a little different than other cookies in that they are sweetened with dates instead of some sort of Paleo-approved sugar. They have a nutty flavor. You can thank the almond butter for that. They have a chewy texture. If you’ve never tried dates as a sweetener, you really should. They add another whole dimension but you can hardly taste them. Well, all of these Paleo chocolate chip cookie recipes are starting to look alike. I’m sure they all do taste similar, but each has something unique to it alone. For these, it’s the maple syrup they are sweetened with. I absolutely adore maple syrup, (my mother hates it, I know that’s a strong word, but she does). It does have quite a strong flavor all of its own so it will make these taste a little different than others. The cinnamon and walnuts will add additional flavor also. Give them a try and let me know how you like them. Would I be able to substitute flax seed meal for the egg? I am not sure. I don’t have much experience with it but you can try it and see! What can I substitute for almond flour? Can I add more tapioca or coconut? You could try using more of both the coconut and arrowroot flours but I am not sure what amounts…you’d need to play around with the ratios to get the correct texture. Mine turned out completely flat 🙁 The “dough” is very thin. I went over the recipe 4 times…. did exactly as it says. What went wrong? I’m sorry they didn’t work out for you! I’m not sure why yours were flat since they’ve worked out fine for many others…maybe your coconut oil was too soft or liquidy? Sometimes that can be the case. my batter was very thin also… are you sure the coconut oil should be melted? I ended up needing to double my flours to get it to a cookie batter stage, did one tray full and now they are very dry and didn’t flatten at all. Oh well.. it may be also because I used arrowroot powder instead of tapioca flour? ?… read somewhere it’s an excellent sub but I guess not. Baking is definitely a science experiment. Posting this for others that read these first… No subs on this one! Paleo baking is definitely it’s own kind of experiment too. Did you let the dough sit for 10 minutes to absorb the coconut flour? It definitely should not have been thin enough to need double the flour. It is a pretty thin dough, but still . . . You can substitute tapioca for arrowroot in some recipes, but you have to change the amounts, and even then the texture isn’t quite the same and I don’t recommend it for baking. Sorry you had to find out the hard way. Hopefully your comment will help someone else . . . I love this recipe! I find that they store better in the fridge. Keeps them together better. But I had one question. You say to use a “2 T. Scoop” to place the batter on the baking sheet. What does the “T.” mean? Tablespoon or Teaspoon? Made these for my family. I’m currently doing the auto immune protocol and can’t eat nuts, chocolate, or eggs, so I didn’t get to taste them. My fam loved them! I mean REALLY loved them and are asking for more. I found many different versions of Paleo cookies but Felt yours would be the best. I can tell you know what you’re doing. Thank you for your recipes! I have been baking wheat free lately and feeling much better. I do love coconut so no issues there. I do see a lot of honey and maple syrup in this recipe. I do not like either of those. Can I substitute with agave syrup? You can. The taste may not be the same but the sweetness will be. What can you substitute tapioca with? Arrowroot starch is somewhat similar to tapioca flour, though I cannot vouch for it’s results as a substitution in this recipe as I have not used it in it. Let us know if you try it!